Turn heads with this Navajo Pearl Three strand beaded necklace. 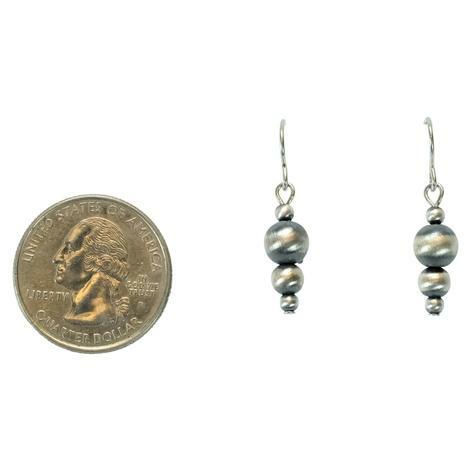 Beads are 4mm, 5mm, 6mm with a length of 36''. 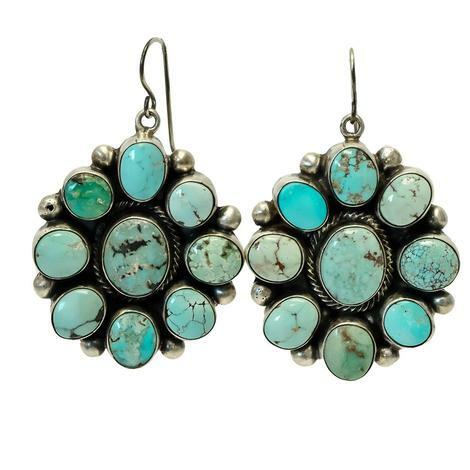 Make any outfit superb with this great piece. Update any old look with this Assorted sized Bead necklace from Navajo Pearl This beaded necklace is 60" Length End to End: and would look great as a single long necklace or doubled up to make a short two-strand necklace. 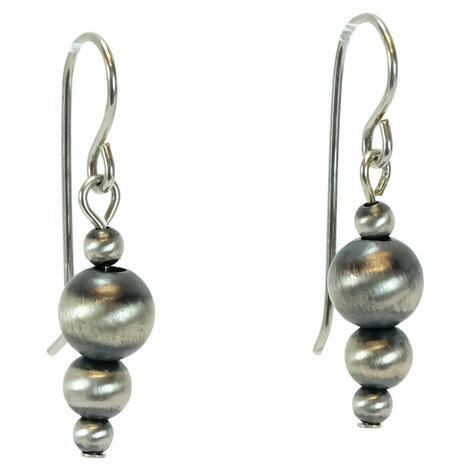 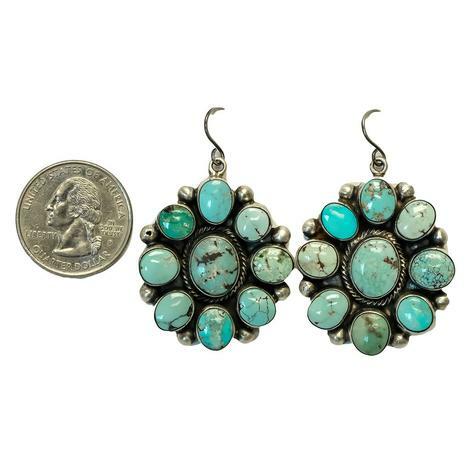 Feel fun and upbeat with these Navajo Pearl Drop earrings. 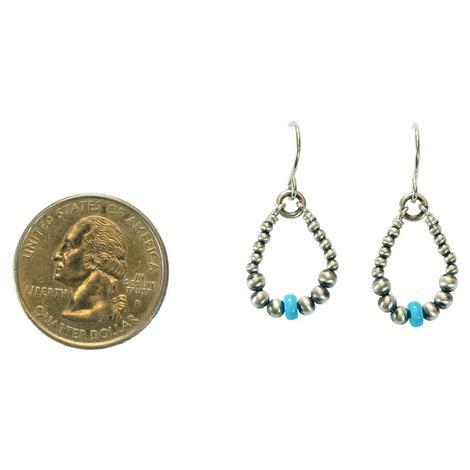 With a Drop Length of 1.25" these little beauties are just right for any occasion. 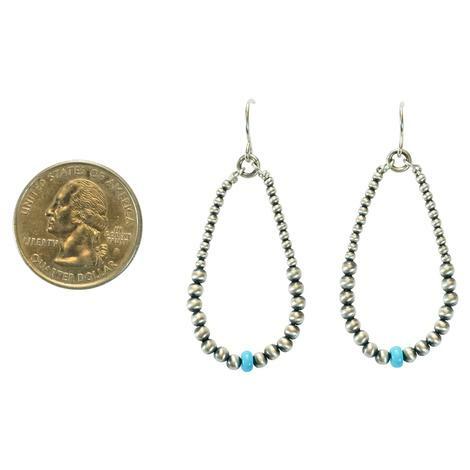 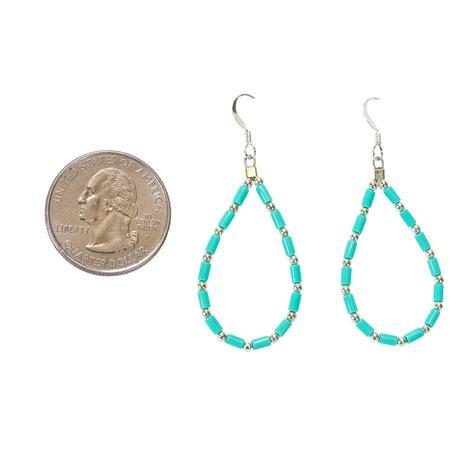 Accentuate any look with these Navajo Pearl Hoop earrings with the Sleeping Beauty Turquoise middle bead. 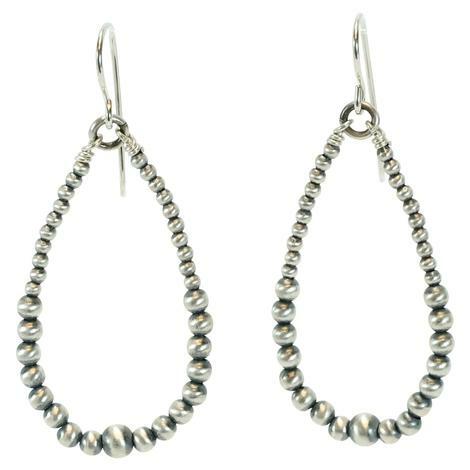 The large hoop Drop Length: of 2" makes for a perfect look for a young lady on the town. 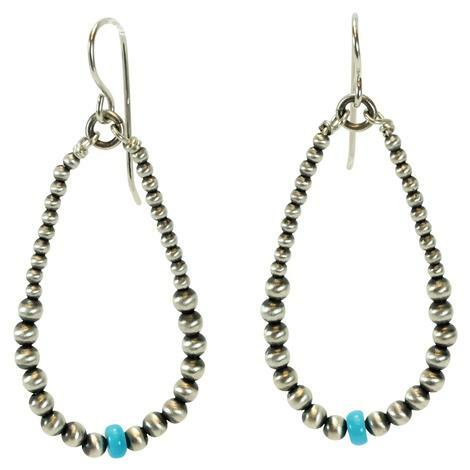 Accentuate any look with these Navajo Pearl Hoop earrings with the Sleeping Beauty Turquoise middle bead. 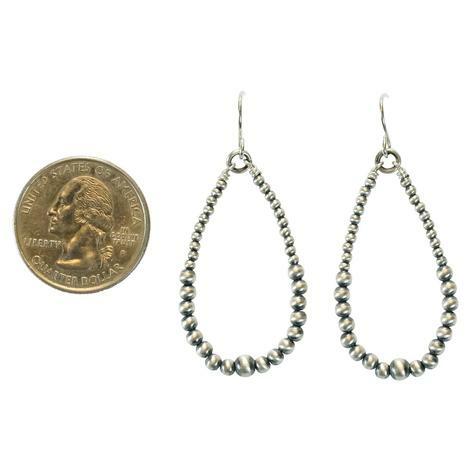 The short and sassy Drop Length: of 1.5" makes for a perfect look for a young lady on the town. 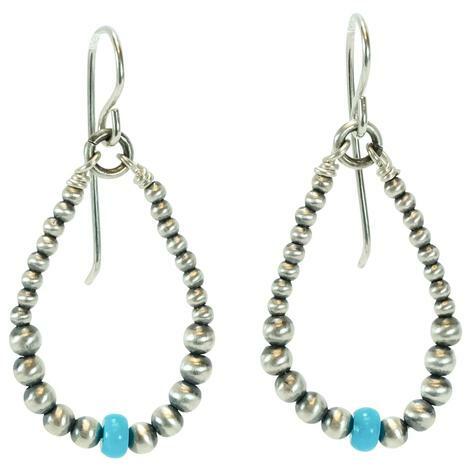 A sterling silver graduated pearl earring with turquoise bead in the center. 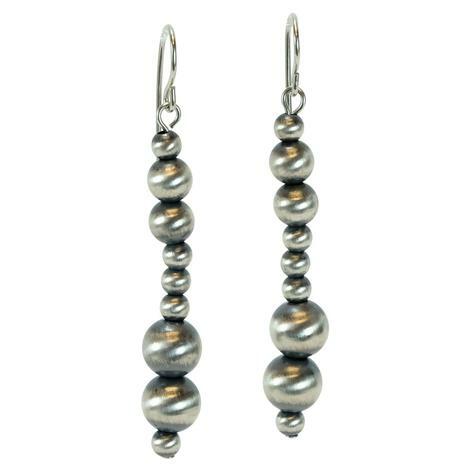 Made with Navajo pearl with a pear shape design will add glamour and style with out the expense. 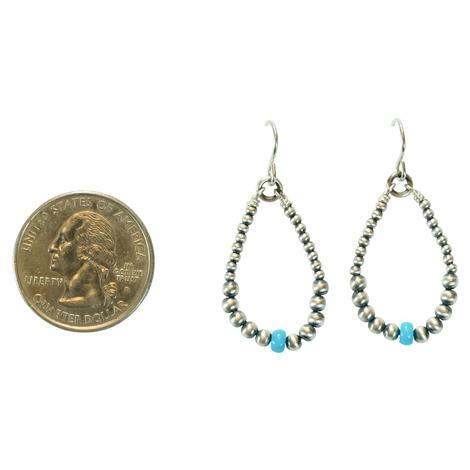 Drop Length: 1.25" and a hook back make this an easy to wear item. 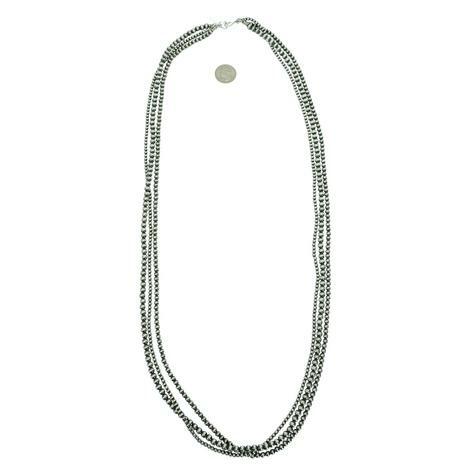 Turn heads with this Navajo Pearl Three strand beaded necklace. 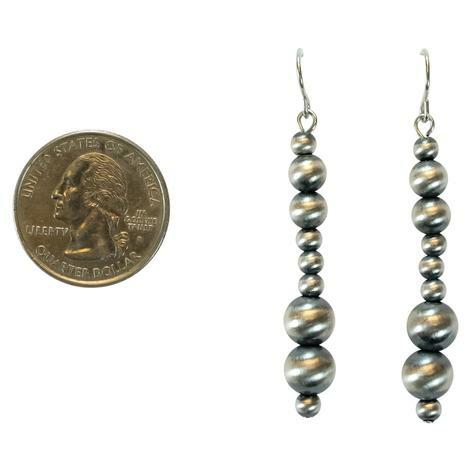 Beads are 4mm, 5mm, 6mm with a length of 38''. Make any outfit superb with this great piece. 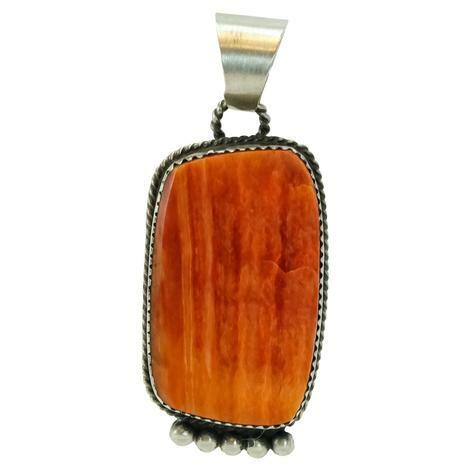 Look and feel fantastic with this Sterling Silver Rectangle Shape Coral Pendant. 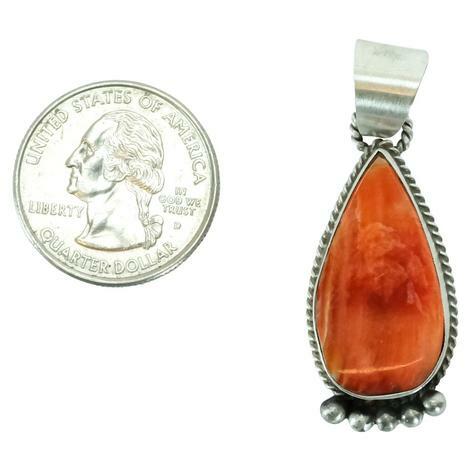 The brilliant Orange tones brightens up any blouse, or dresses up the casual t-shirt. 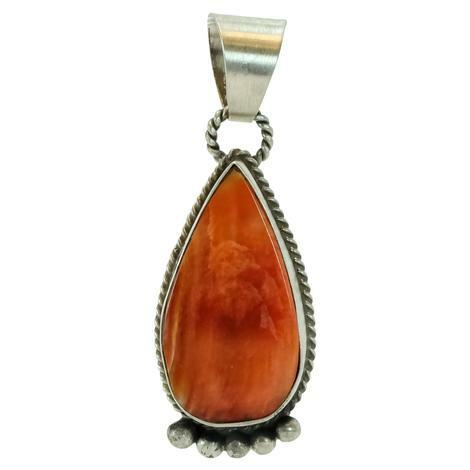 Look and feel fantastic with this Sterling Silver Teardrop Shape Coral Pendant. 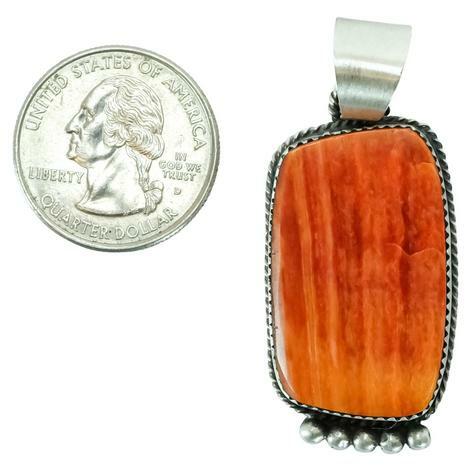 The brilliant Orange tones brightens up any blouse, or dresses up the casual t-shirt. 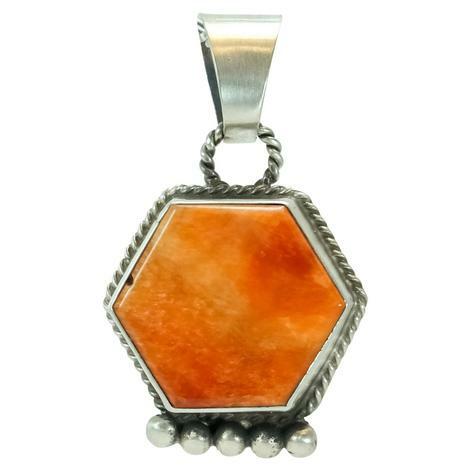 Look and feel fantastic with this Sterling Silver Hexagon Shape Coral Pendant. 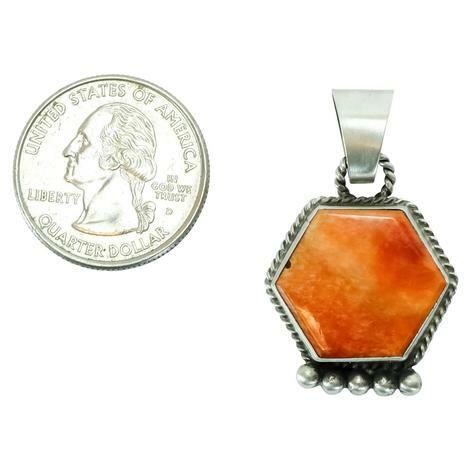 The brilliant Orange tones brightens up any blouse, or dresses up the casual t-shirt. 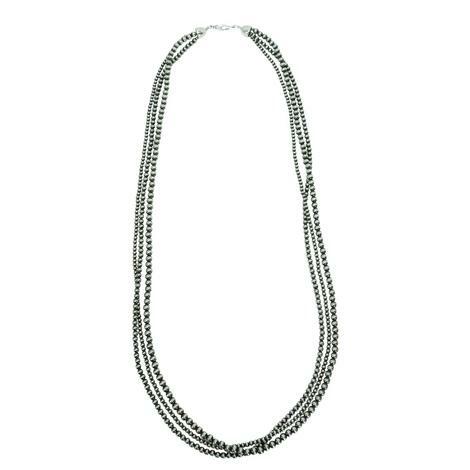 Turn heads with this Navajo Pearl Three strand beaded necklace. 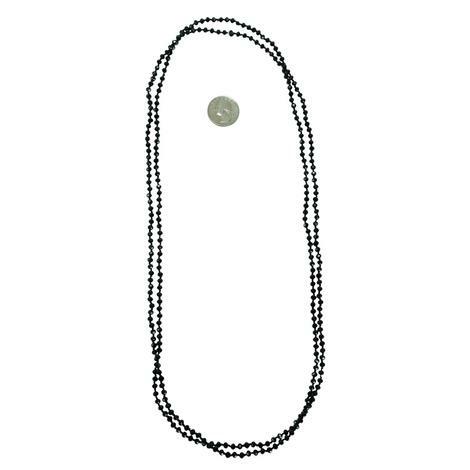 Beads are 4mm, 5mm, 6mm with a length of 42''. 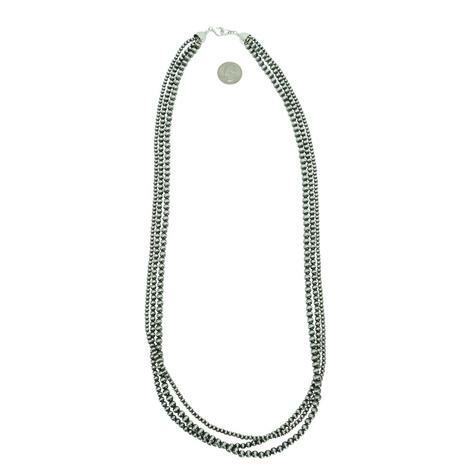 Make any outfit superb with this great piece. 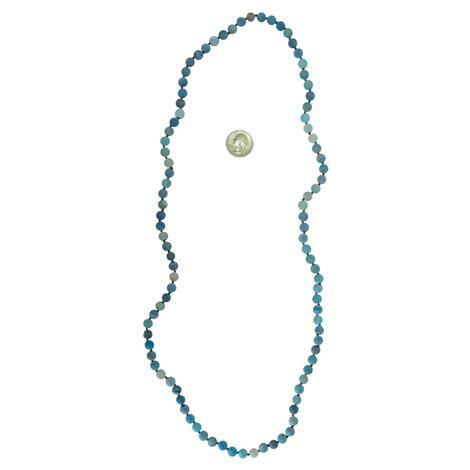 Add elegance and style to any wardrobe with these Multi-stone Beaded Necklace . 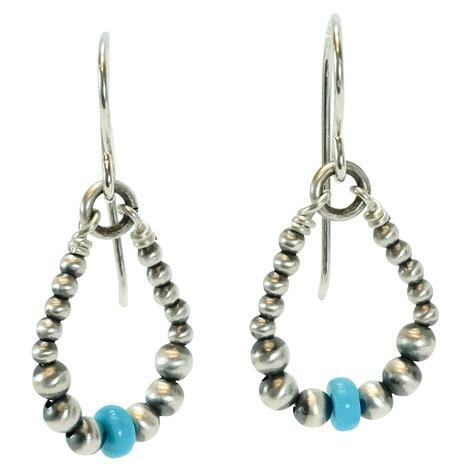 With a variety of colors, mix and match 2 or more of these to put a color of POP in your life. 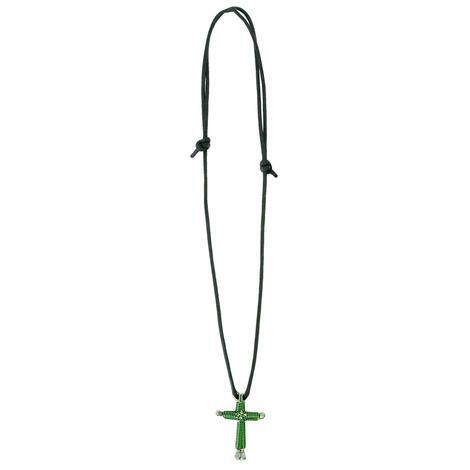 8mmx36inch Colors: PINK, GREEN, PURPLE, BLUE, . Add elegance and style to any wardrobe with these long strands of Shiny cut Beads . 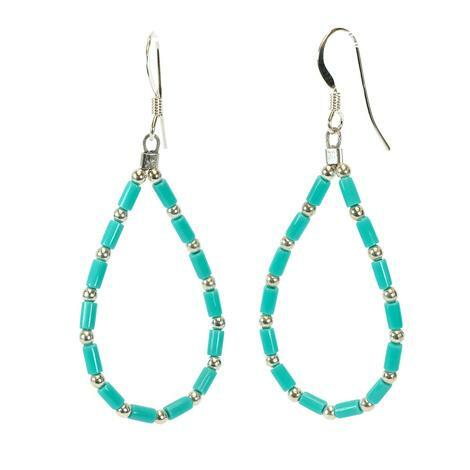 With a variety of colors, mix and match 2 or more of these to put a color of POP in your life. 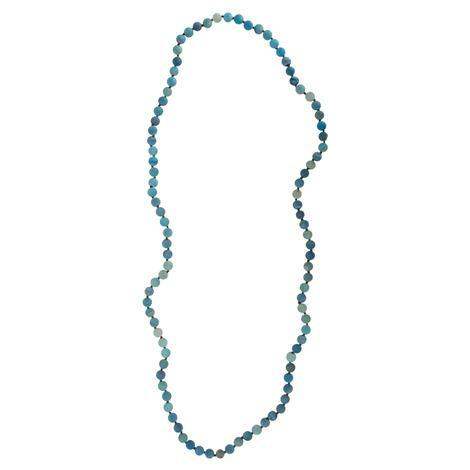 full length 60" Colors: NAVY, RED, MUSTARD, CHOCOLATE, BLACK, BURGUNDY, PINK, TEAL, TURQUOISE, BROWN, LT. BROWN, AQUA, BLUE, CREAM, GOLD. 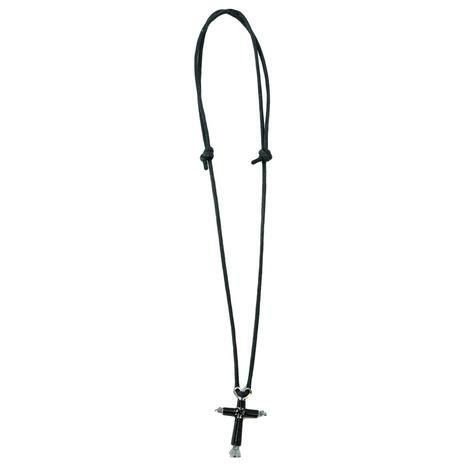 Over the years Hair Ties haven't changed much, until now! 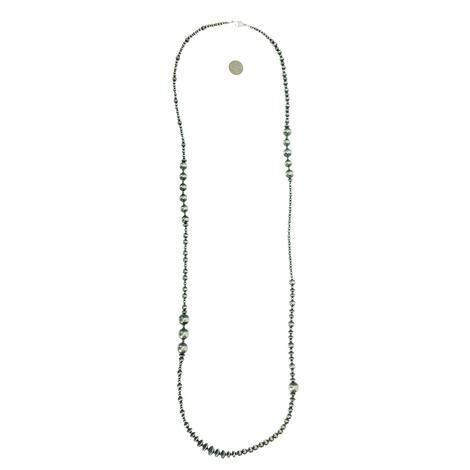 These ties are super strong and will hold together the messiest of messy buns and ponytails. 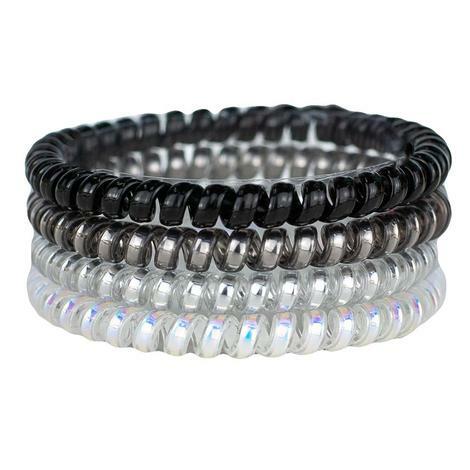 Because of their unique coil design, they hold a good grip to your hair without pulling, tearing or creasing!